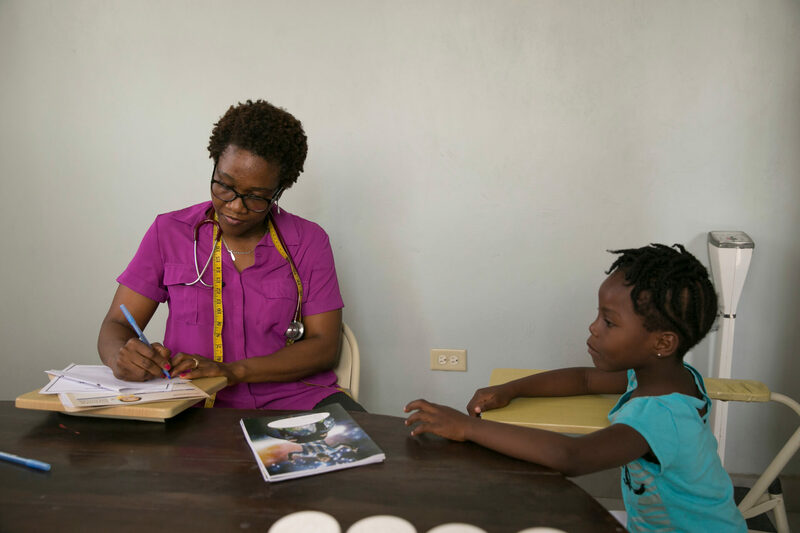 We invest in local communities to support Haitian children, giving them the guidance and resources they need to get an education, have access to medical care, and succeed in life. 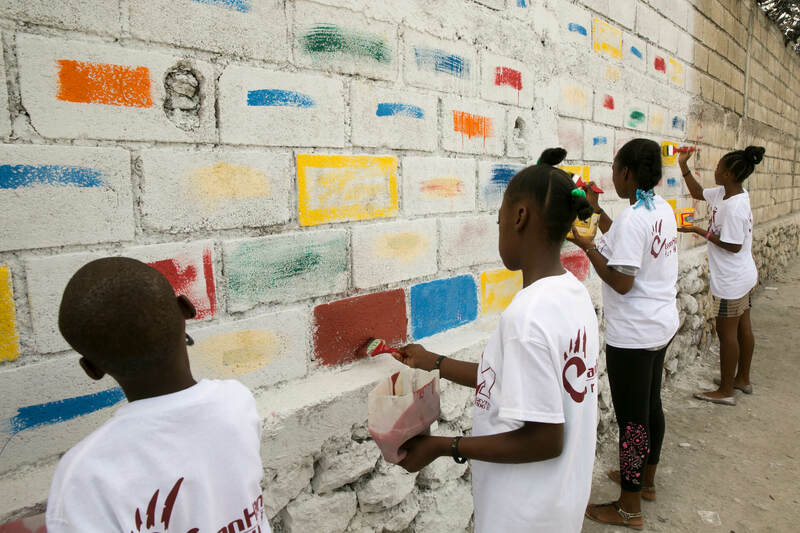 Since 2013, we have provided educational scholarships, basic social services, and cultural opportunities and experiences for children and their families living in Haiti. Since 2013, we have committed to providing educational scholarships for kids who would otherwise not be able to afford school. Since 2015, we have provided dental care, annual physical checkups, and emergency health services, free of charge, to more than 200 kids. In 2016, we opened a community center to give our students a safe and welcoming place to learn, study, and just have fun. Haiti remains the poorest country in the Western Hemisphere, with nearly 60% of the population living on less than $2.50 a day. 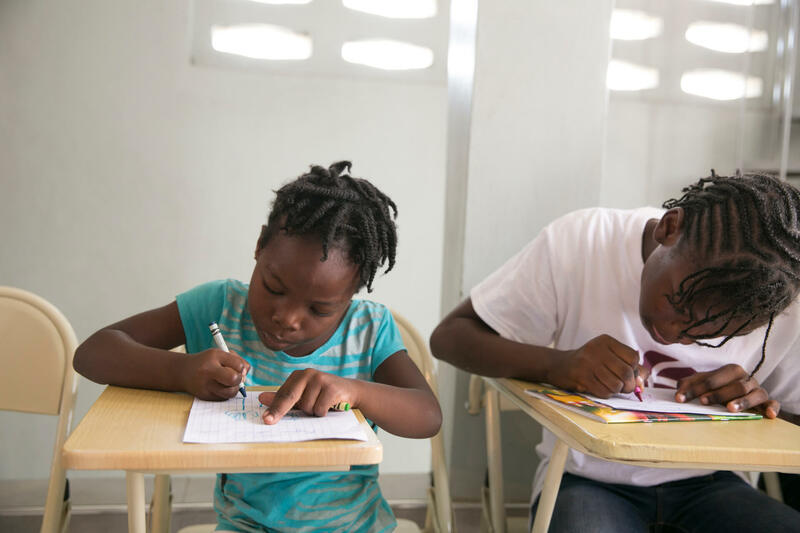 Even if families are able to afford to send their kids to school, a USAID study found that, because of a lack of government oversight, nearly half of all students finishing the second grade could not read a single word. Since the beginning, our program has stretched beyond the classroom to every other part of our students' lives. Over the past five years, we have rebuilt a student’s home that was lost in the 2010 earthquake, built a community center and computer lab, and hired a licensed teacher to assist the kids in their studies. We have started an arts program, currently consisting of chess, yoga, English and music classes. A local music teacher meets with the students twice a week to teach the kids how to read and write music. We have provided over 200 children with dental and health services, and supported over 20 children on their journeys to becoming top students in their schools. Using sports to build community. Playing and participating in sports gives kids the opportunity to be part of a “family” no matter gender, size, ethnicity or socioeconomic background. It lets them be a part of a team and be mentored by caring and responsible adults.